Paddington 2 was released on Cinema 467d ago in the US and the UK. Based on 21 Paddington 2 Cinema reviews, Paddington 2 gets an average Cinema review score of 87. The score for all versions is 87 based on a total of 21 reviews. Kinder than the average bear. The film never loses its spirit of harmony, even during its lengthy railroad chase ending. In a rousing sequel, the children’s-book bear is falsely accused of stealing a priceless treasure. This is the rare sequel that’s even better than its predecessor. 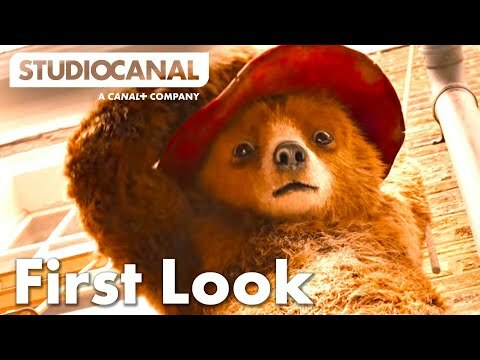 Paddington 2 is a warm and fuzzy joy. ‘Paddington 2’ is delightful counterprogramming for our divisive times. Turns out to be every bit as deft, witty and, yes, moving as the first one. In ‘Paddington 2,’ a bear has a ball behind bars. Paul King’s Paddington 2 profoundly believes in the harmonizing power of warmth, politeness, and the absurd. Paddington 2 goes all in on the charm and wit established in the first film and comes up with yet another winner. Not every joke is a surefire hit, and it might be a bit too lightweight, but “Paddington 2” is an unexpected salvation from real world tribulations. Like its predecessor, this Paddington redux touches on societal themes in subtle-smart fashion. The charming Paddington 2 is the rare live-action kids' movie adults can bear. Paddington was uncommonly charming and Paddington 2 is very nearly as good. Grant is on top form as a cravat-wearing villain who frames Paddington for theft in a follow-up that lives up to Michael Bond’s evergreen original.